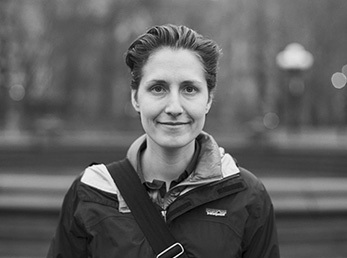 Nicole Starosielski’s research focuses on the global distribution of digital media, and the relationship between technology, society, and the aquatic environment. Her book, The Undersea Network, examines the cultural and environmental dimensions of transoceanic cable systems, beginning with the telegraph cables that formed the first global communications network and extending to the fiber-optic infrastructure that carries almost international Internet traffic. Starosielski has published essays on how Fiji’s video stores serve as a nexus of digital media access (Media Fields Journal), on Guam’s critical role in transpacific digital exchange (Amerasia), on the cultural imbrications of cable systems in Hawaii and California (Journal of Visual Culture), and photo essays on undersea cables (Octopus and Media-N). The internet is supported by a vast network of undersea cables, data centers, and network exchanges. These infrastructures have profound effects on access to, speed, and ownership of digital content. This talk will describe some of the key pressure points in the production and operation of digital infrastructures. Taking the cases of Huawei’s attempt to enter the submarine cable industry and the problems of cable repair in national waters, the talk will reveal that although digitization has enabled many of the features of flexibility, modularity, and globalization of the supply chain, the supply chain of internet infrastructure often remains relatively fixed and bound up in national politics.